If you don’t know now you know, JCH Streetpan can do infrared. A bonafide infrared film it is not, but the phoenixed surveillance film is sensitive to IR waves up to 750nm. With that bit of knowledge in hand, I wondered how it would fare in an infrared film shootout against another not-exactly-true-infrared-but-can-do-it film in Rollei Infrared. 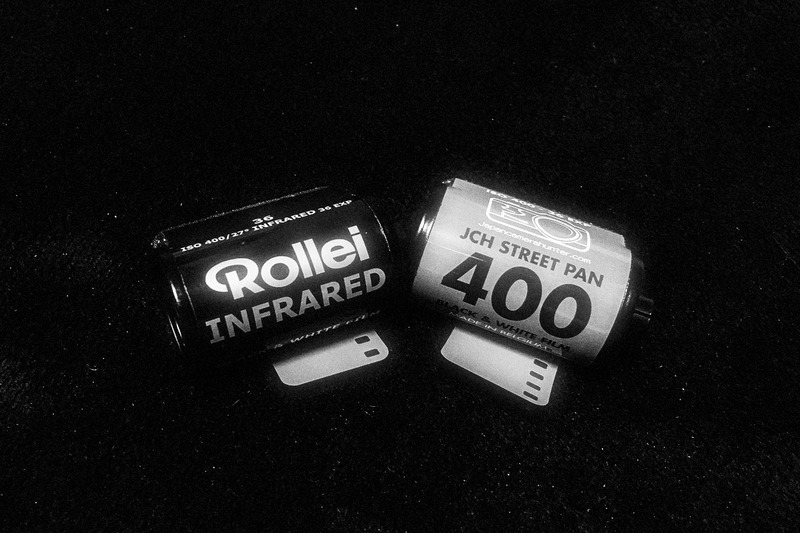 Both are 400 ISO rated films that can also be shot normally, though Rollei’s offering actually has “infrared” in it’s name and their literature states the film is sensitive to IR wavelengths up to 820nm. With massive curiosity in tow, I armed myself with a Kenko R72 filter, and 39-52mm step up ring attached to a Summicron 35 ASPH. Packed a tripod and cable shutter release and strolled around town to experiment. For consistency sake, I used the same Summicron 35 ASPH lens and swapped it onto two different Leica M bodies, one with JCH Streetpan and the other Rollei Infrared. 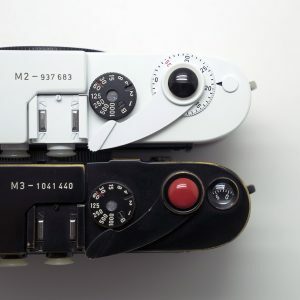 Both were shot with the same exact exposures and developed in Fuji Minidol. Without further ado, let’s take a look at the fruits of the labor. Anyone care to take a guess first which is which? So, what was your guess? 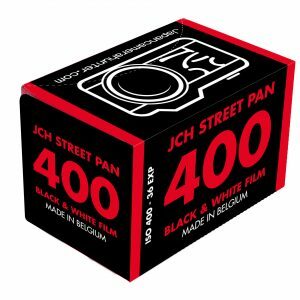 JCH Streetpan is “Film A” and Rollei Infrared is “Film B”. Surprised by the results? I was. I had always associated that surreal halation look to infrared sensitivity, so I had assumed that the Rollei with its higher sensitivity range would give off more glow. As it turns out though, this famed halation effect or glow often seen in the highlights of infrared photographs is in actuality an artifact of Kodak High Speed Infrared (HIE), the pre-eminent IR film from back in the day, and not actually an artifact of infrared light. The glow or blooming is caused by the absence of an anti-halation layer on the back side of Kodak HIE film. Without this coating, light not absorbed by the emulsion and passing into the base would be partly reflected back at the outer surface of the base, re-exposing the emulsion in less focused form and thereby creating halos around bright points and edges in the image. 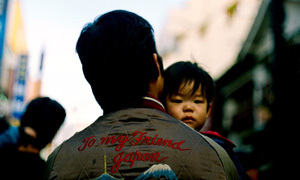 Streetpan itself is made with a thinner subbing layer to make the entire film thinner with ease of scanning in mind. On the back of this subbing layer is the anti-halation backing and being thinner than other black and white films, it results in a scattering or blooming around the highlights that would usually be absorbed by a thicker anti-halation layer such as in the Rollei Infrared. So there you have it, if you’re looking for that surreal halation and “Wood” effect that we’re used to seeing in black and white infrared photos, JCH Streetpan is actually closer to that look than Rollei Infrared. 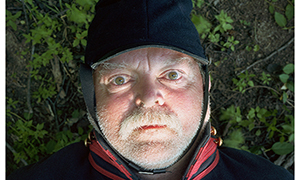 If you’re after more clinical sharpness and contrast then Rollei probably suits your tastes more. If you’re up to doing some experimenting yourself with Streetpan on infrared (actually any infrared capable film) here are some useful tips. I’ve tried both a IR76 gel under the lens protector and a Kenko R72 filter and the R72 yielded better results in terms of exposure. I reckon an R72, which only passes light at 720nm (high-red) and above, is better suited for Streetpan’s sensitivity of up to 750nm. As an R72 filter is damn near opaque to visible light, composing and focusing with one on an SLR can be a nightmare as you might imagine. You’d have to compose and focus first without the filter and then screw it on when you’re ready. 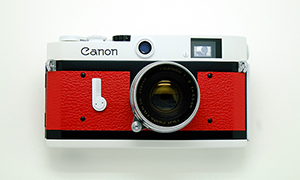 Thus a rangefinder can save you much irritation with this regard. The darkness of the R72 filter will also drop the exposure 4-5 stops, essentially making Streetpan a 25 ISO film for infrared. TTL metering is a good start, on a bright sunny day around noon, I was shooting f/8~11 at 1/60, 1/30, and 1/15. With slight cloudiness, or in the morning or late afternoon, another stop or even two was necessary. Unless you have world-class ninja surgeon hand steadiness, a tripod and shutter release cable is highly recommended. When bracketing, always err on the side of overexposure; your best guess, and a second exposure at two full stops more should give you a usable image. Focusing on infrared is a good cause for grey hair. 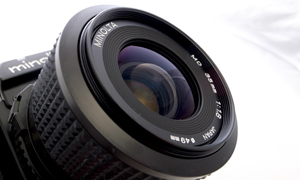 Infrared light requires a different focus setting in a lens, this is because the wavelengths of infrared light are significantly different enough that the refractive properties of the lens will bend light at different angles than how they bend the various wavelengths of visible light. 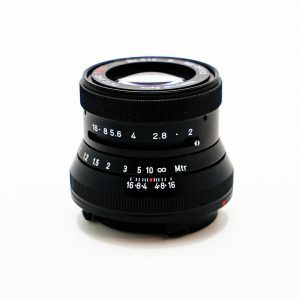 Some older lenses will have IR focusing marks on the lens barrels but generally you’ll want to stop down to compensate for any shifts. F8 and above will suffice for most conditions. Do not be discouraged by an unusual lack of keepers in the beginning. In order to get the best out of any IR film, you need quite a lot of practice and patience. Infrared has proven quite fickle and subtle changes in light affect results dramatically. The amount of IR in sunlight is greatest an hour both sides of noon, and varies greatly with the angle of the sun. You will get very different effects with the sun behind you, with contre-soleil shots (against the sun), and with the sun at right angles to the camera-subject axis. You can also experiment with using other IR filters and in tandem with other filters such as adding an ND filter for longer exposures or various color filters. I have yet to try using different developing chemicals and developing times, so that’s something I’m looking to reporting on in the near future. 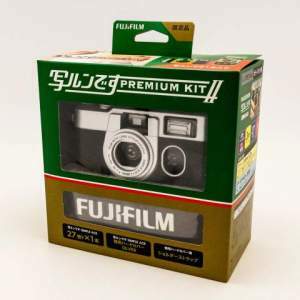 With the discontinuance of Kodak HIE in 2007, Efke’s IR820 film is the only true IR film still on the market (though rather difficult to get, it’s not available in Japan). Keep in mind though that the Efke will need to be loaded in complete darkness whereas you don’t have to worry about that with JCH Streetpan, which is a huge plus in convenience. Now you have an additional option for your IR fix; JCH Streetpan for that surreal classic look versus Rollei Infrared for more accurate studies. As mentioned earlier, experimenting with IR requires practice and patience. Therefore there is little point in buying just one roll of any IR film. 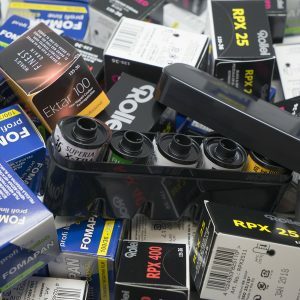 I’d say buy just one at first, to compare it with single rolls of whatever other IR films you fancy trying and see which you like best. Once you have chosen, buy at least four or five rolls to get to know it and season to taste with various filters and developing recipes. 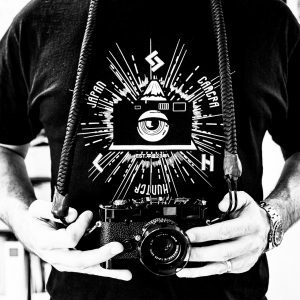 I look forward to your comments and seeing what others will do with this new way to shoot JCH Streetpan. Efke factory is closed for about five or so years already, so we only have pseudoIR films from Belgium like Rollei and JCHstreetpan. Love the images , I recently started shooting Rollei 400 infrared on my Mamiya 7 + 43mm with B+W 092 and love the photo’s. I have a question ,in the last image of Film B (before you reveal which film is which) there seems to be cross pattern in sky. Is this a fault in the scan or a fault in the film? I’ve played around a bit with digital IR, using a modified Canon body but not tried film. Yet. I’ve got a few rolls of JCH in the fridge that I’m keen to experiment with. Any idea what would happen shooting IR at night? Would it work, or would the lack of sun mean there’s not IR? It’s interesting that you mentioned it, I’ve actually been experimenting with IR flash on Streetpan which will be documented in a future article. I have yet to try at night with just street and building lights but that’ll be on my to-do list. I’m not sure what ‘halation’ you are seeing in any of the pictures posted, I certainly can’t, at least not halation that looks like HIE. Also, as noted in the comment above, Efke IR has been gone for years, but there are plenty of infrared sensitive films still out there – besides Rollei Infrared, you can also try Rollei 80s, 400s, and Superpan. Ilford has the slightly red extended sensitivity SFX 200 film. Also, none of the films available now have enough infrared sensitivity to require a refocus of the lens – it’s really not necessary unless you are shooting in the 800+ range, which none of these films have. Finally, the amount of infrared is greatest at sunset (red skies remember) – since there is not as much blue light that you need to filter out as you do at noon. However, infrared looks great at any time of day, which is why it’s often recommended to shoot during the daytime when the light isn’t so great for regular film. You can even shoot infrared at night, since the sun is not the only source of infrared light out there – fire, tungsten lights, etc are all good sources of infrared. You can even shoot infrared on foggy or overcast days – be sure to bracket, but don’t underestimate how much infrared can break through clouds and other weather conditions. To alter a well-known saying, these films aren’t cheap, but they are still worth experimenting with. Thanks for your comment MotL, good to know that focusing shift needs to be considered only in the 800+ range. As for the halation, I’m just merely stating that Streetpan looks closer to what you would get with Kodak HIE than the Rollei unless you disagree with that. What about processing times? Any tips? Especially with HC110. Stoked to try this! Hey Mark, so far I’ve only tried with Fuji Minidol Fine 1:1 for 10 minutes at 20° C. It’s an ongoing experiment so it’ll be updated with suggested developing times in the future. For now all we can do is try different things!